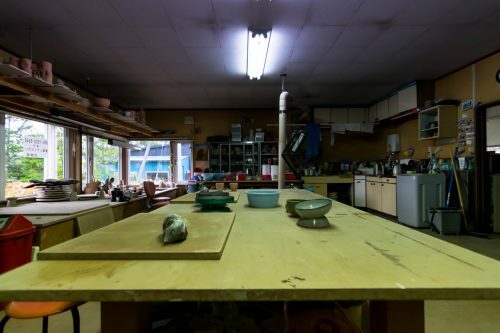 In Koshimizu there is a pottery workshop run by Ms. Hisako Takahashi called Hokujigama. 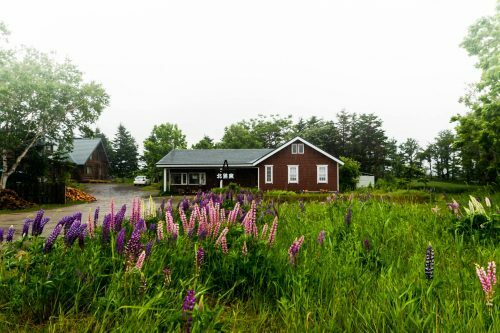 Her studio and showroom is surrounded by wild flowers and is right across from Lake Tofutsu. 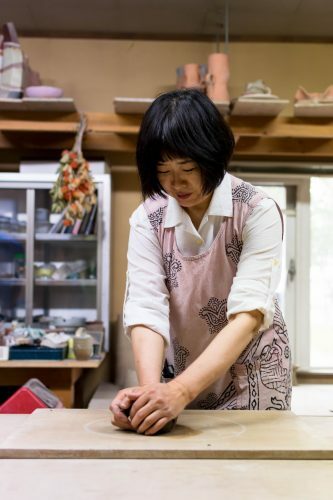 The nature around Koshimizu inspires her to create pottery and share the beauty of Hokkaido. She offers regular weekly lessons to local students and trial lessons to visiting guests. I went with a local guide to experience her pottery lesson on a rainy afternoon. 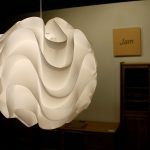 Hokujigama has two main rooms; first is the showroom that features finished pieces including cups, bowls and art for sale. Beyond this room is the workshop. Newspapers are laid out for us to put our things on one table and at the next table there are seats with clay and boards waiting for us. 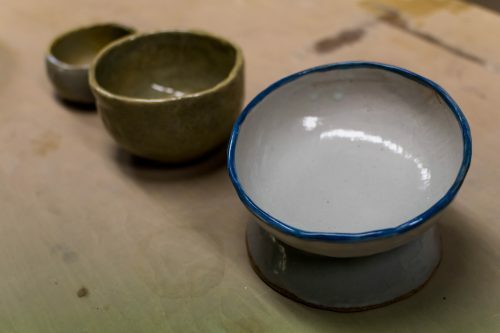 A few finished bowls are lined up as samples. The largest bowl, she gleefully explained, was a bowl for cats. 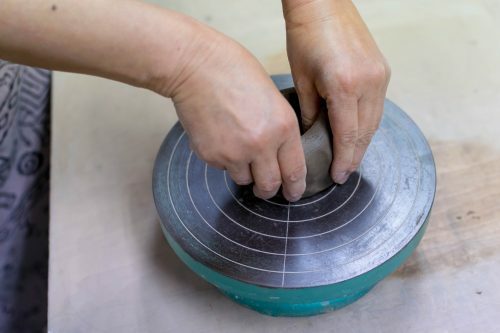 We sat down and our teacher explained the first step was to knead the clay, smoothing the surface out. She drew a perfect circle in the dust with her fingers and instructed us to push the clay from 11 o’clock towards 12 o’clock with our right hands, then stand the clay up and roll it back down into position with your left hand. 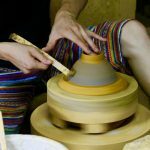 She said it took about 100 times to get the air bubbles out of the clay and knead surface smooth enough to begin working. I thought it would be like kneading pizza dough, something I am very accustom to, but I was wrong. It was a much tougher process than I had anticipated—I may have been kneading too hard. She explained it didn’t need to be pressed so hard, a much more subtler touch will do. Once the clay was ready she asked us to think about what we wanted to make. I decided to make a yu-no-mi or Japanese tea cup. She told me I could make at least two with the amount of clay I had, so she suggested a pair set. 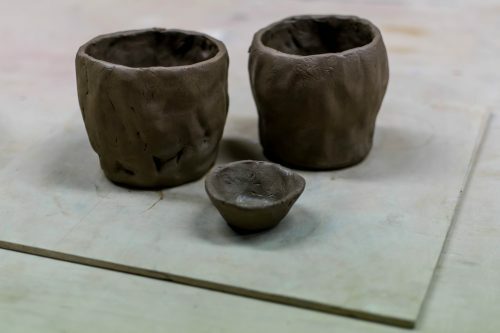 She demonstrated how to get it started by pushing in the center and squeezing the sides with both hands forming the sides of the cup. Once the cup was formed she handed me a looped tool to make the lip of the cup an even height. This is done by holding the tool at the same height and spinning the platform that the cup sits on. 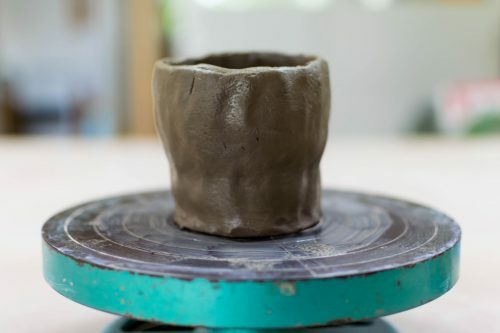 After it is shaped, water was sponged onto the inside and exterior of the cup to smooth out the surface. Finally, a cut off wire is used to carefully peel the cup from the surface of the spinning wheel. 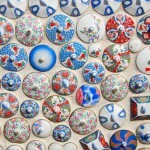 Once upside-down the edges of the cup are also trimmed to prevent any injury when used. Takahashi-sensei explained that there was nothing better than drinking from a cup that you have crafted yourself. After making a second cup, there was a bit of clay leftover from the trimmings, which could be made into a little sake cup. I repeated the same process as the large cups. Once all my pieces were formed they were turned upside down and ready to be marked. With a small pointed stick I wrote my name in Japanese and marked the date. 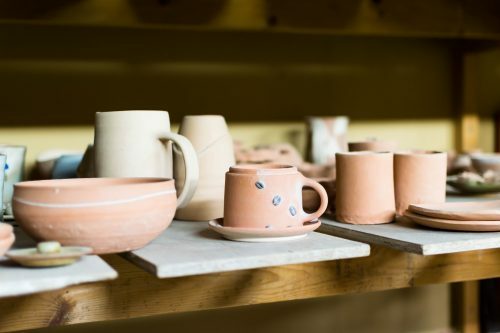 The clay is baked and mailed later to visitors who come for the workshop’s pottery-making experience. 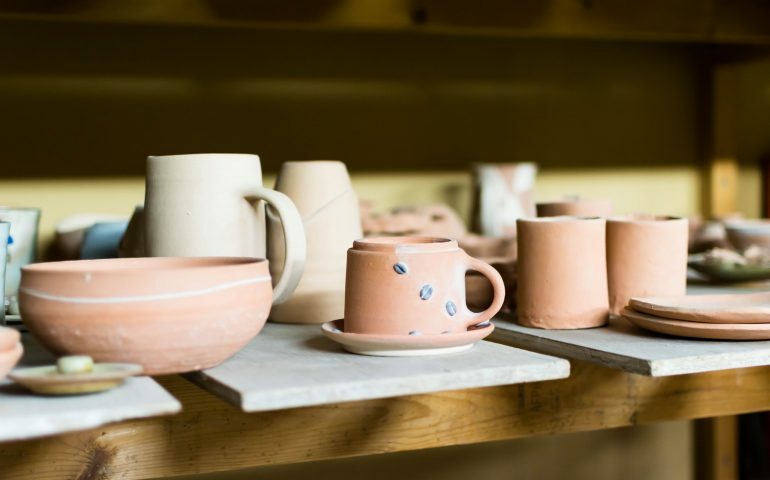 The studio featured semi-finished pieces from her regular weekly students. After my firsthand experience I awed and appreciated the intricate details of the cups, bowls, pots and figures that these students had made. When she spoke of her students she had a twinkle of pride in her eyes. 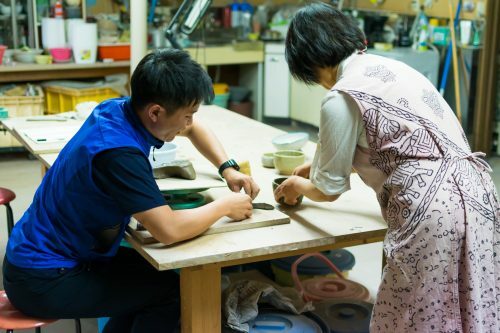 I could see Takahashi-sensei is someone who has a great passion for her work and welcomes students to experience the joy of making pottery for themselves. She is able to instruct in English and very happy to do so. If you get the chance and are looking for a little time to slowdown and relax on your travels in Koshimizu, please give Hokujigama a visit. To book an experience during your stay in Koshimizu, please apply at the link here. 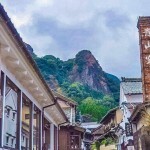 From the US, I first came to Japan on a study abroad program and didn’t want to leave. I came back as soon as I could to live, first to the quiet mountains of Nagano and then to the busy and exciting Tokyo. My goal is to travel to all of the 47 prefectures and share each of the local specialties and treasures through my photography. I hope to inspire people to want to see and experience the sights, culture and food for themselves.